I love shopping at Yoshi Jones in Newtown. The light-filled store is colourful & vibrant, bursting with great gifts to suit all occasions, and I know I'll always find gorgeous clothes that I love to wear... but apart from all those girlie things, I'm always impressed at the large selection of interesting menswear on the shelves. 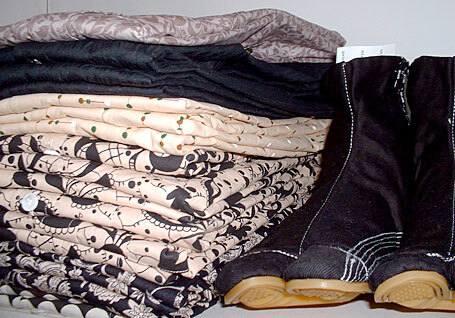 Yoshi Jones carries t-shirts aplenty, with screen prints guaranteed to please the boys. 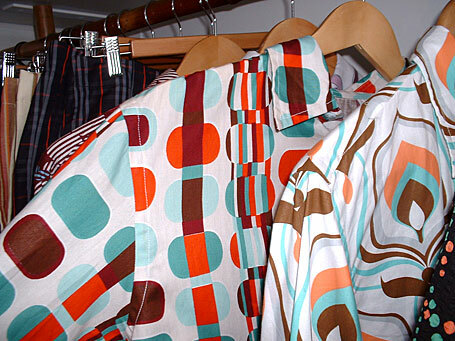 They also stock a unique collection of cotton shirts that are something else! 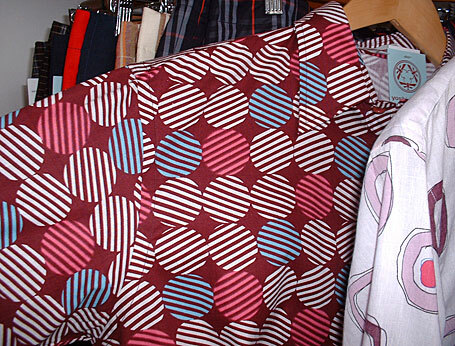 They are designed & made in Australia by Yoshi Jones, using contemporary cotton fabrics sourced in Japan. The striking patterns feature geometric shapes and colour palettes that work brilliantly. A couple of my favourite colour combinations include peach partnered with both warm & cool blue variants (as pictured at top) and orange, brown & aqua (as pictured below) both on a crisp white background. The various designs suit all tastes but mostly they are unique in a bland environment where the male shirt seems to be reserved for the conservative workplace. The mens shirts are available in two different styles - fitted and a side vent style that can be worn with jeans, shorts or a skinny pant. (Perfect for all those summer celebrations!) There are both short sleeve & long sleeve options, and prices range from AUD $99 - $125. 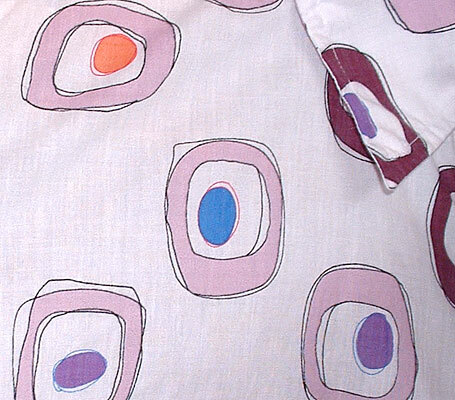 Pictured below is a detail from one of the shirts showing a more delicate design - both in its hand-drawn style and the mauve & eggplant colours - again on a crisp white background, punctuated by orange & blue highlights. 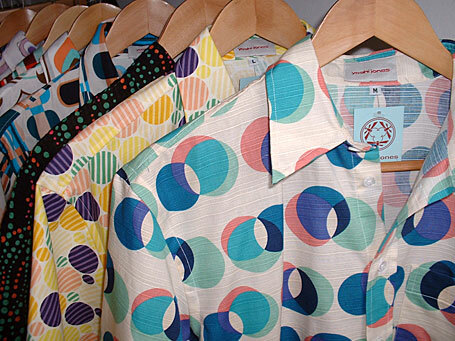 The fabric range is so eycatching it has appealed to men and women alike leading Yoshi to design a range of colourful shirts for us girls as well as the boys. This new range will be appearing instore throughout this month, so if you are in Sydney, be sure to check them out! The Yoshi Jones store is at 134 King St, Newtown (near the intersection of King St & Missendon Rd). P.S. If you're a coffee lover, stop by Campos Coffee (a block down Missenden Rd) for the best coffee & beans ever!